First of all, did you miss Part One? Than CLICK HERE and don’t say I never help you out. THE CHRISTMAS MARTIAN (a.k.a., LA MARTIEN DE NOEL) (1972) – Both Letterboxd and the IMDB say this one came out in 1971. But the copyright date says 1972 and if it’s all the same to you, I’m going to believe the lawyers. I really don’t know where to begin with this one. It’s another bit of kiddie matinée insanity, this time coming from Quebec. A brother and sister on their first day of Christmas vacation run into a martian and his big red flying saucer. The martian gives the kids lots of candy which the kids are only too happy to eat. For the rest of the day, the three hang out together and suddenly they can’t live without their new friend. They help repair the martian’s flying saucer and get into all sorts of adventures. This includes getting their dad sent to jail on Christmas Eve, something the kids never seem to take personally. This being a kid’s film from the early 1970s, the alien is of course not the most brilliant person you could come up with. He’s goofy, makes silly faces and probably wouldn’t be able to hold a conversation with any Earth person over ten years of age. He dresses in a raccoon coat, a snow hat and what looks an awful lot like stockings for a chin strap. But maybe that’s just lost in the translation. Speaking of which, they make it a point to say that the Martian’s name translates to “Pooh Flower” in English, something the kids giggle about for a good minute and a half. THE CHRISTMAS MARTIAN isn’t above pandering. Long story short, it’s disturbing and horrible but never boring. It needs to be discovered by jokesters everywhere. HOME FOR THE HOLIDAYS (1972) – There’s been lots of great scream queens. Jamie Lee Curtis, Linnea Quigley and… Sally Field? Sure, why not? In this film, four estranged sisters return to the house of their even more estranged father. He was apparently a rather cruel man while they were growing up, something which has royally screwed them up into adulthood. The father may have even drawn their mother suicide. But father is pleading with his daughters now, because he believes his new wife is slowly poisoning him to death. Dear old dad asks if his kids wouldn’t mind murdering their stepmom for him. The daughters have no love for their father, but can’t bring themselves to watch him slowly murdered. They debate amongst themselves if the old man is really being poisoned, could his new wife really be guilty of such a crime and should they commit murder to stop it? It seems as though someone isn’t opposed to thinning the herd as some of the sisters start getting killed off. HOME FOR THE HOLIDAYS is a TV movie, which might make a lot of people dismiss it out of hand. A lot of these movies looked the same and were churned out on an assembly line. But HOME FOR THE HOLIDAYS is one of the better ones among the bunch. Part of that credit goes to John Llewellyn Moxley, one of the best directors in television. It’s also a rather dark affair, involving a family reunion where most of the family winds up dead. Another reason for creep factor? The film was written by Joseph Stefano, who wrote the screenplay to PSYCHO. And yes, Sally Field really does make a fine scream queen. 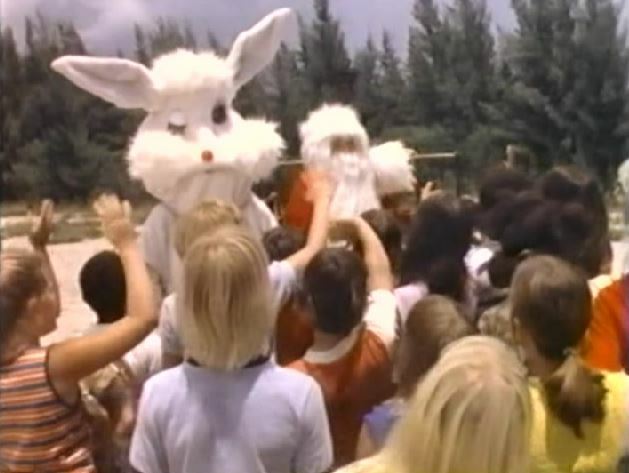 SANTA AND THE ICE CREAM BUNNY (1972) – To this day, the strangest Christmas film I’ve seen is undoubtedly SANTA AND THE ICE CREAM BUNNY. It’s another cheapie and the whole film is actually a cheat. We start with several children (supposedly Santa’s elves – again with the slave labor) singing out of key. But where is Santa? Wouldn’t you know it? Santa’s sleigh got stuck on a Florida beach (in broad daylight no less) and the reindeer were so hot, they left Santa out there to die. We hear Santa, who is obviously a much thinner, younger man in a suit, bemoan the heat ad nausea. Finally, he telepathically enlists the help of neighborhood children to get his sleigh unstuck – call it his own version of AAA. The kids can’t get the thing unstuck, despite the kids bringing in their pet dogs, cats, goats, horses and gorillas to help. Santa tells the kid to not give up hope and tells them a story of someone else who never gave up. Here is where the film switches entirely and we see another film, complete with its own credits and its own bookended storyline. And what is that film? Why it’s Barry Mahon’s version of THUMBELINA. Told you he wasn’t done with us yet. This film, done in conjunction with the old Pirate World amusement park, involves the uncomfortably attractive Thumbelina interacting with several creatures represented by people in masks or strange paper mache contraptions. Honestly, I could do a whole article just on the film within a film. After this is done, the Ice Cream Bunny shows up on a fire truck to help out Santa Claus. It’s a man in a bunny suit and it is absolutely terrifying. But it’s one thing to read it and another to see it. I did an entire episode of Moviocrity on this film and you can catch that here. SILENT NIGHT, BLOODY NIGHT (a.k.a., DEATHOUSE, NIGHT OF THE DARK FULL MOON) – Years ago, something horrible happened at the Butler house. This led to the house gaining a terrible reputation which wasn’t helped when Wilfred Butler was burned to death, hopefully ending the cycle of violence surrounding the house. Years later, Wilfred’s grandson Jeffrey (James Patterson) has inherited the house and wants to get rid of it as quickly as possible. But someone doesn’t want to let go so easily. A mysterious killer is calling everyone home and racking up the body count. Director Theodore Gershuny (SUGAR COOKIES) has created a surprisingly creepy film that packs a number of genuine surprises before the surreal finish. There’s even a flashback at the beginning of the third act that is so complex and interesting, it could be expanded into its own film. 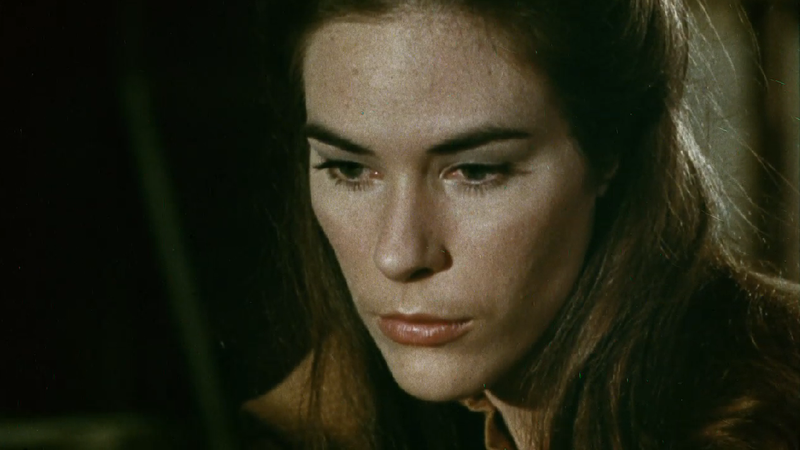 The great Mary Woronov (who happened to be married to Gershuny at the time) is fantastic as the sheriff’s daughter, who finds herself wrapped up in the whole mess. Woronov was in Andy Warhol’s Factory and you can see several other veterans of that group in small parts. This includes the iconic Candy Darling, who would pass away a few years after this film was released. SILENT NIGHT, BLOODY NIGHT is easy to find in battered prints. But I would highly suggest you head over to Vinegar Syndrome, who has restored the film to a still scratchy but very enjoyable 720p transfer. It’s listed as a gratis download, meaning you can name your own price. Don’t be stingy. TALES FROM THE CRYPT (1972) – Wow, 1972 was a banner year for weird Christmas flicks, wasn’t it? As you can imagine, most of this Amicus anthology film, based upon the classic EC comic, has nothing to do with Christmas. But one segment does, and it is so incredible, it would be a crime to omit it from this list. It’s a very short and creepy tale and would later serve as the basis for the first episode of the TALES FROM THE CRYPT television series produced for HBO in the 1980s. 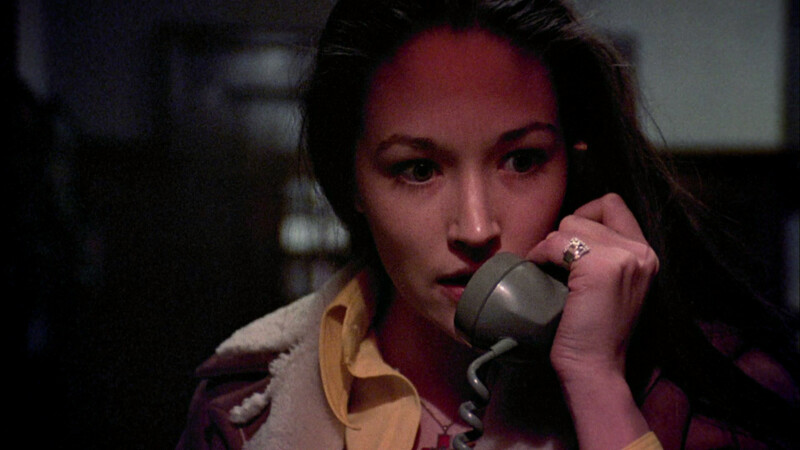 BLACK CHRISTMAS (1974) – Bob Clark is one of the most frustratingly erratic directors I’ve encountered. He directed films in every conceivable genre. 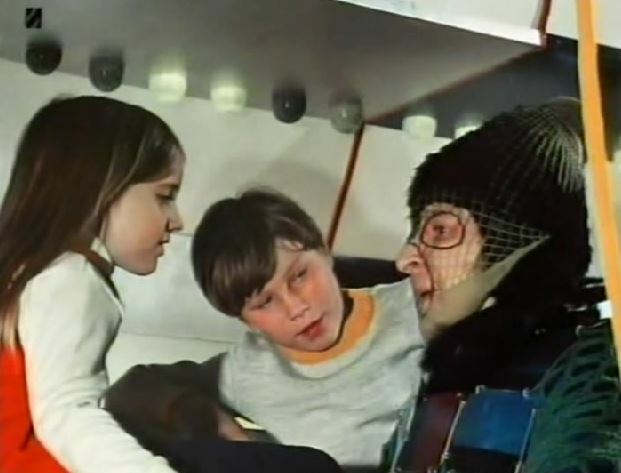 In 1982 for instance, he helmed the iconic PORKY’S and then one year later, directed the sweet and funny (but sort of grating) A CHRISTMAS STORY. In horror, he directed the dead serious DEATHDREAM as well as the comically horrific CHILDREN SHOULDN’T PLAY WITH DEAD THINGS. But he also directed some of the worst films of the last thirty years, including RHINESTONE, KARATE DOG and the first two BABY GENIUSES movies. Towards the beginning of his career, he also directed what people in the know rightly acknowledge as the first true slasher film. While there were films about mad killers in the past, this one had all the elements that would later be adopted by Michael Myers, Jason and their ilk. It’s also one of the moodiest and scariest films you’re likely to come across. At a posh college, a group of sorority sisters are getting ready for the Christmas holidays. They begin receiving disturbing prank phone calls. The sisters are at first amused by what they think are just obscene calls, but soon they grow more and more afraid. What they don’t realize is that – say it with me, folks – the calls are coming from inside the house. Yep, here’s where it started. The film boasts a pretty great cast too, including Olivia Hussy, Margot Kidder, Keir Dullea and John Saxon. Avoid the 2006 remake at all costs. It’s a stinker. So, there you go. Part 2 of our look at non-traditional Christmas films. Still coming up, psycho Santas, Los Angeles blowing up and ballet, naturally. But for that, you’ll have to check out Part 3…..